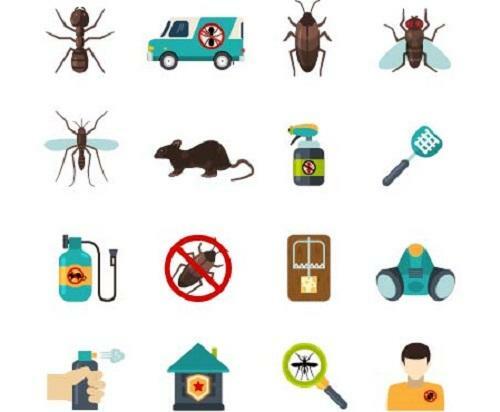 Our pest control services are unmatched in Beaverton! If you an infestation of unwanted creatures, do yourself a favor and put in a call to the professionals. For over thirty years, The Killers have been performing pest control in Beaverton, eliminating annoying bugs, insects, and rodents and making sure they don’t return. Many types of pests can invade and take over your home before you even recognize they are present. You don’t have to sit around and hope for them to disappear on their own or try to tackle the problem yourself. With the many services we offer, our years of experience, and our top quality products, your pests will be gone in no time. We understand that there are many different pest control services out there, which is why we strive to provide the best pest control and customer service in the area. When you contact us to get rid of your pests, you can always expect us to treat your home right, and our thorough process and top-notch service will make sure you’re satisfied. We always perform A complete inspection of your home to determine the best treatment for your infestation. We give you detailed information about all of our programs so you can decide which one you want. Your pests will not just be controlled; they will be completely eliminated! We use products that provide fewer health risks for you and your family, including your pets. We exterminate a large variety of pests that are common to the Beaverton area. Our services are guaranteed for an entire year. We commit ourselves to the satisfaction of every customer we serve. Want to know how we work? We’re glad to fill you in! We are happy to answer your questions and keep you in the loop every step of the way. Our employees are extensively trained and prepared to handle any pest that shows its face in your home or office. Wondering what invaders we can eliminate for you? Just ask! 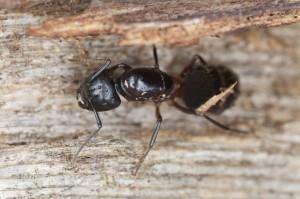 Carpenter ants? We’ll bring down the hammer on their nests. Bed bugs? More like dead bugs after we’re done with them. Cockroaches? We’ll reproach them so they don’t dare return. Boxelder bugs? We box them up and them packing! Rodents? Those vermin will be squirmin’! Wasps? They’ll get a sting they won’t ever forget! Spiders? They won’t notice until we trap them in our web! Termites? They’ll yell timber when their nest tumbles! Silverfish? We make them wish they were goldfish! Ask us; we’ll more than likely be able to take care of them! We want you to choose us confidently. That’s why we offer a free pest inspection before any services are performed and always give you an honest estimate with no hidden fees. Plus, all of our extermination jobs are guaranteed for an entire year! So give us a call or contact us today and we’ll see that those pests think twice about messing with you!